Whether The High Commission Rate Of Uber Shows A Green Flag For Its Competitors? Uber is experiencing a great loss, which had not been experienced by even small technology startups so far. Uber really takes too much money? Is that the reason behind the loss? The problem is due to the cut off fare taken by Uber at the end of each transaction. The cut off rate of Uber is greater than many online marketplaces such as, eBay, Priceline, Airbnb, Grubhub and many others. This will be an added advantage to its competitors, so that they can allow its drivers to take the maximum amount of shares from each fare. At this situation, everything should go favorable for Uber in order to justify its $69 billion valuation. For example, if the customer pays $20 for a ride, 20% or 30% of the amount has to be given to the uber as the commission. So for $20 ride, the company gets about $4 to $6, rest of the amount is given to the driver. Uber’s commission percentage varies from place to place; the commission percentage of the company is secretly maintained. The other marketplaces such as, eBay, on the average collects 8% in each transaction. If the customer purchases for $20, then $1.60 is given to the company. Whereas, GrubHub charges $3.20 for the $20 order. Airbnb collects 9% to 15% as commission for each reservation and on an average the Priceline’s booking.com collects 11 cents for every single dollar spent on hotel bookings. Uber collects about 20% to 30% on each ride that is really a great rate when compared to other marketplaces that run on online, which connect the buyers and sellers. These companies differ from the process that Uber do, but they are online marketplaces that connect the buyers and the sellers. The cutoff for each company differs from their own. Uber uses the mapping software that helps to process credit card payments, handles insurance and helps in other valuable activities. Uber is a private company and it is tough for it to decide, whether it provides enough value to charge double the percentage of commission amount collected by Airbnb and Amazon’s third party marketplace. In the casino terminology, this high cut rate of Uber is called as, “take rate” or “rake”. This makes the company liable for its competitors to reduce their commission amount and it is one of the opportunities for them to reach the customers easily. Mr. Bill Gurley, the general partner of the Benchmark, a venture capital firm, said that, high rakes will help the company to achieve the revenue faster but it will simultaneously represent the red signal. Over a decade ago, in china, Alibaba is the local rival of the eBay, charged nothing from the customers to sell its products in the Taobao marketplace, as a result of this, Alibaba won and eBay gave up in the country. On the other side, Groupon took 35% from each of the daily deal, this made them to lose their fame in the business and they were getting the bad deal also. Uber’s valuation has increased along with the increase in revenue and also with considerable loss. Sometimes, Uber drivers complain about, how the company treats them. And these complaints are usual and they are unavoidable tensions between the online marketplaces and the merchants who depend on them. The smaller competitors of Uber including, Fasten in Boston and Juno in New York City are trying to insist the drivers by exploiting the commissions of Uber. Juno said that, it would take only 10% cut of fares. Uber is well established and it has a unique position in the industry, this may be one of the reasons for the company to increase its commission percentage. Uber drivers don’t have that much power that merchants have on eBay. The on-demand ride business has started to twist the companies slowly, which are willing to subsidize rides that also makes tough to access the general baselines for the industry commissions. If Uber takes the smaller cut of fares, it would face the greatest loss. In the first half of the year, Uber earned about $2 billion from its commissions. If Uber has a lower cut of fares, then it would face about $1.27 billion loss in the first half of 2016. Uber now has the on-demand transportation looks, it means that, it need not fear about the commission charges. But in technology, some things can take a change quickly. Guarantees and rates in the city. Percentage of commission Uber takes on the fare that is based on the contract. Total number of passengers in the city. The probability of time for choosing the drive, that is during the day, week or year. Probability of choosing the location, that is, hotspots, cold spots or Airports. The recruitment rate of the drivers and sighing up of new passengers for bonuses. Lyft, the main rival if Uber in the U.S. it had the similar share as like Uber, but the valuation of the company is much less than Uber, it is about one tenth of the Uber’s valuation. So the stakes of the company are also low. The commission of Airbnb is a mix from the host and the visitor. Alibaba charges lower commissions from the merchants who sell their products on its marketplace. The largest part of the revenue is obtained from the merchants who buy the ads on the Alibaba’s storefront, in order to promote their wares. The success of the companies cannot be achieved without controversies. The company says that, it is digital platform which aims to connect the drivers and the customers. The company is not responsible for the quality of the transportation provided to the customers. In San Francisco, Uber is testing new fee structure that is aimed at collecting 30% commission from the new drivers and it takes 5% from older drivers. According to this scheme, new drivers are charged 30% for their first 20 trips then it is reduced to 25% for the next 20 trips and again it reduces to 20% after completing its first 40 trips. San Diego also follows the same system, but the price changes for every 15 rides. For UberX, this attempt is a limited test because; it earns more depending upon the number of trips they take. It was officially reported that, Uber’s commission was raised from 20% to 25% in San Francisco. This fee structure has affected the drivers a lot. 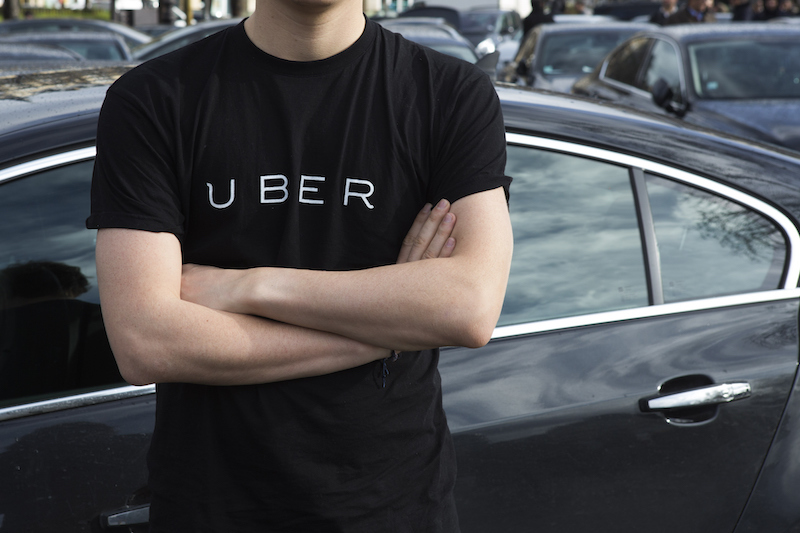 Uber is the largest raid-hailing service in the world. It is being operated in 250 cities in 57 countries. Its valuation is about $41.2 billion and it is the second value-venture backed company. And it could receive the new funding of around $50 billion. This fee structure even more affects the UberX drivers who drive their own cars than the drivers who work in Uber’s town car. Full time drivers’ benefit more than the part time drivers, because, Uber drivers work for 40 hours a week, so the full time drivers can driver for only two to three days to get 30 to 40 rides. Because of this increase in commission rate, the amount of money the drivers made per passenger reduced by 25%, which increased their working hours in order to compensate the earnings. Anand Rajendran is the CEO and Co founder of RUTAPP Infosystems, a company that provides customizable app development services for iOS and Android users.He has been in the digital marketing industry for more than 5 years who assist organizations to enhance their online business with the latest strategies. Ridecy is an Uber Clone Script mobile app mainly designed for the taxi owners to focus more on their business with advanced features. 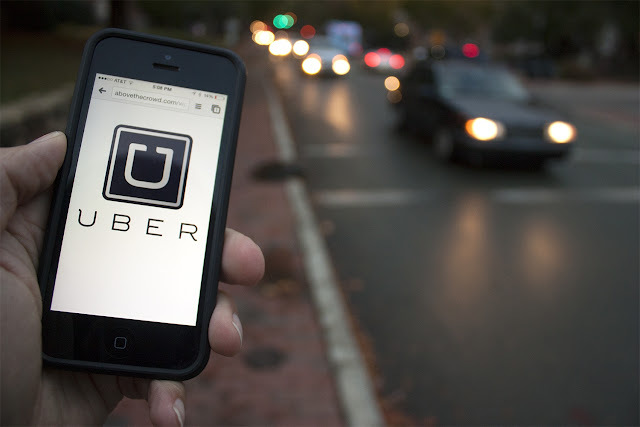 Vyas Infotech: Whether The High Commission Rate Of Uber Shows A Green Flag For Its Competitors?